First day of February, and it’s Friday, and I am just so ready for the Super Bowl on Sunday! Who are you rooting for? Who actually cares who wins, or who just shows up to parties for the food and ads? I am actually a HUGE football fan, and a loud and proud RAMS fan, so I am so excited for this weekend! I’d be curious to know if we (Americans) consume more food and calories on Thanksgiving or Super Bowl Sunday. Any body know? Leave me a comment below! I have to believe the two days have to be pretty close! Though I am all for throwing dietary caution to the wind on Super Bowl Sunday, I am PRO one satisfying (and hopefully healthy?) main dish, so you don’t fill up on all of the junk. 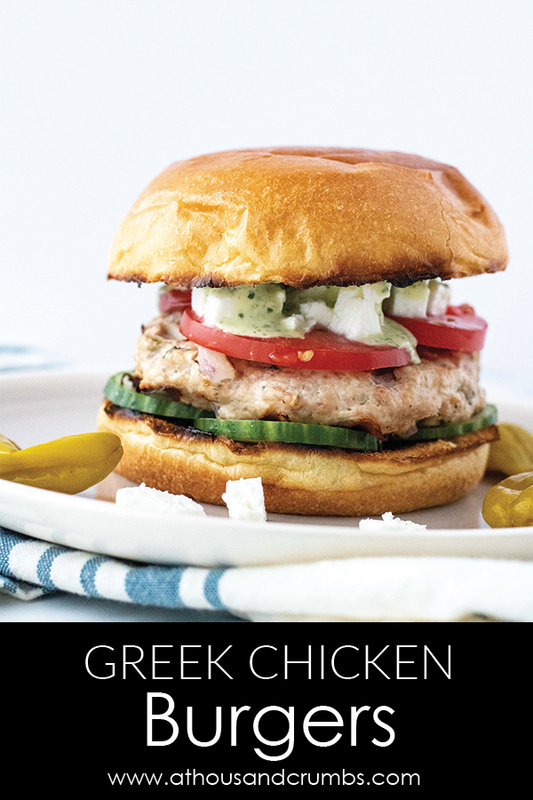 This year, I am thinking it should be these Greek chicken burgers! The burger patties come together quickly and can easily be scaled for a crowed. 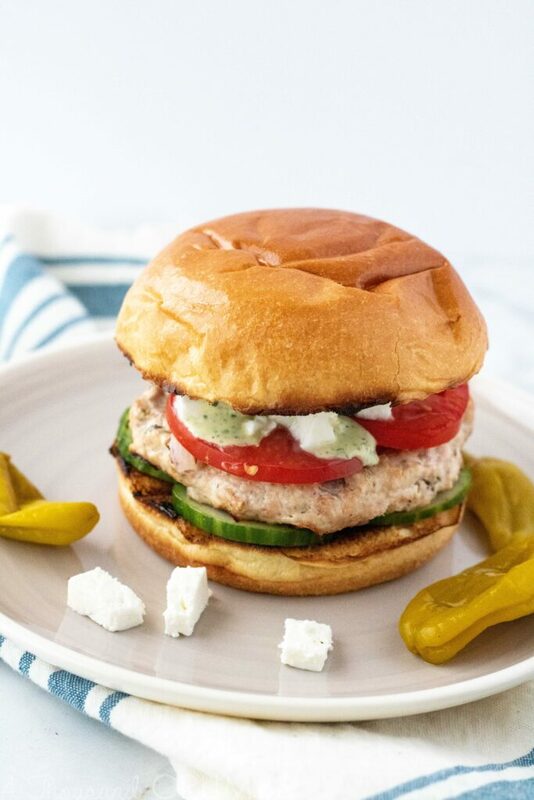 They are seasoned with a little bit of purple onion, oregano, and fresh lemon juice before cooking and then topped with even more delicious layers of fresh veggies for the ultimate Greek chicken burger. I use dark meat ground chicken because it has much more flavor. 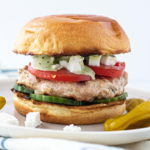 Even though dark meat has more fat than white meat, it yields a more flavorful burger, and thus proves to be an excellent base for these patties. Feel free to swap in ground white meat chicken, or even turkey, if you prefer. If you do use white meat, I suggest oiling your grill grates prior to heating your grill. This will provide a more effortless release when cooking and flipping. I love serving burgers at parties because they are completely customizable, depending your preferred palate. You can set up a burger bar, and let people stack their own. 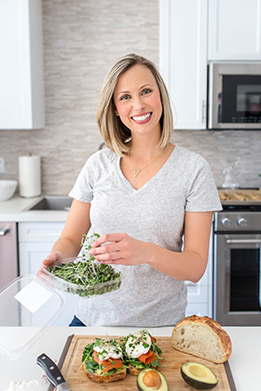 The burger patty can even be added to a bed of romaine lettuce for a healthy gluten-free twist on a Greek salad. The addition of my Whole30 Green Goddess Dressing adds a great herb flavor and tang, especially if you don’t like pepperoncini. If making for a crowd, I highly recommend throwing these burgers on the grill, but they can just as easily be cooked in a large cast iron skillet.